Welcome to Carina Author week a week full of Reviews, Guest Posts, Author Interviews and Giveaways, all about published authors by Carina UK. 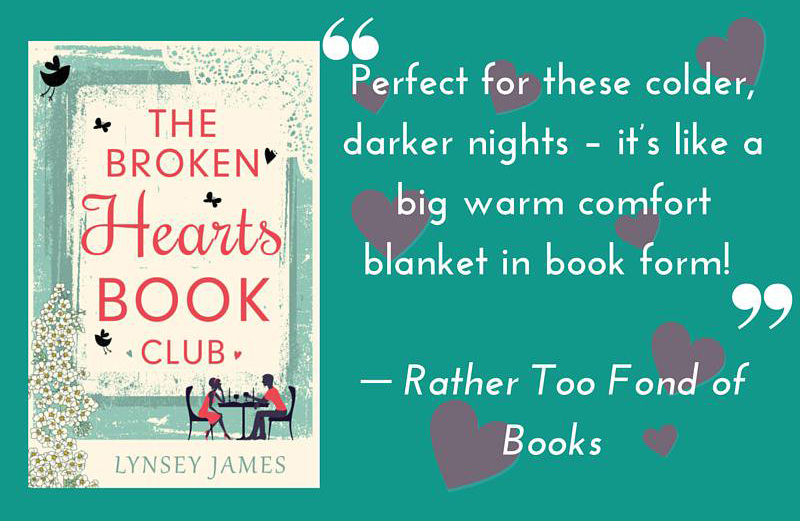 I'm delighted to welcome my fifth guest, Lynsey James, author of Just The Way You Are, The Broken Hearts Book Club, The Sunflower Cottage Breakfast Club and The Silver Bells Christmas Pantomime (out November 10th). 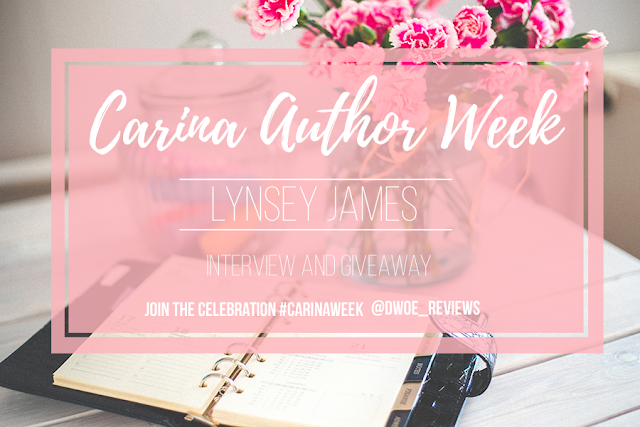 Hello Lynsey, I’m delighted to have you on my blog today featuring the Carina Author week with a Q&A. My publishing route with Carina was pretty crazy! I sent them my book Just the Way You Are (which was called Dear Ava back then) and actually forgot I sent it! Then, one night in December 2014, I happened to check my emails and there was one from my editor at Carina, offering me a two book deal! The rest as they say is history. You have four wonderful books called, Just The Way You Are, The Broken Hearts Book Club, The Sunflower Cottage Breakfast Club and soon The Silver Bells Christmas Pantomime, in the pipeline since you signed a deal with Carina. How did it feel to publish your books and what has your experience since then been? Publishing my books has been a totally surreal experience. Never in my wildest dreams did I imagine I’d get to share my stories with so many people. I still get nervous every night before launch day and wonder if people will like what I’ve written. I don’t think that nervous feeling ever leaves really. It’s been amazing putting my stories out for people to hopefully enjoy and to hear that someone’s loved my book is the best feeling ever. When you begin writing, did you ever think you’d get to where you are now? Not at all. When I was sixteen, I was told by a careers adviser that writing wasn’t a good option and that I should choose something else. I did try various other career options but I kept coming back to writing because I love it so much. When I started writing, I never thought for a second that I’d be as lucky as I have been. It’s been an awesome experience. What can you tell us about your latest book release, The Sunflower Cottage Breakfast Club? 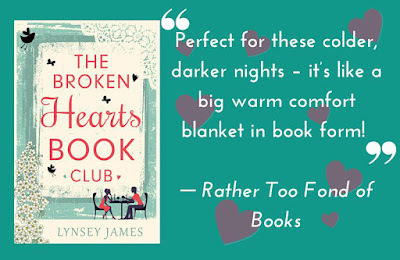 It’s a continuation of the Luna Bay series, which started with The Broken Hearts Book Club. It follows Emily, an uptight professional from Glasgow, who comes to Luna Bay to oversee the sale of the local B&B, Sunflower Cottage. She also has a secret reason for coming to the village too: she wants to find out more about her biological father. That’s if hunky but moody Noah doesn’t get in the way first! How long have you been writing? And what was the first thing you can remember writing? I’ve been writing since I was about three, I think. I can’t remember what the first thing I ever wrote was, but I do remember writing out scripts for Friends and acting them out in front of my family! I get up, see my dog, have breakfast, watch some trashy TV and then the writing begins. If I’m not distracted by social media first, obviously! I spend way more time on that than I probably should. Do you write to a schedule, eg every day or three times a week, set times, or do you write as and when the mood strikes? I try and do a little bit every day. Some days are better than others though; I could do 5,000 words one day then have no clue what to do the next. As long as I do at least some words every day, I’m happy. I don’t work to set times, but I do find I work best at night. I’m a night owl at heart. Sometimes writing a book seems like a massive mountain to climb … and that’s before considering editing, publishing and promoting! Do you have any advice for those of us just starting out? Just keep writing is probably the best advice I could offer. And don’t let anybody tell you that you can’t do it because you can. Dreams do come true and if you keep working hard and persevering, you’ll get there. You use social media (facebook, twitter etc) to engage with your audience, do you think it helps sales and do you find it fun or a chore? 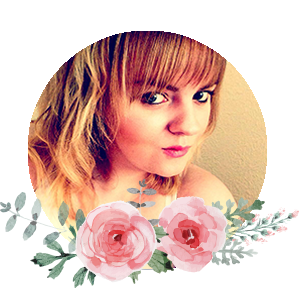 I’m not sure how much social media presence affects sales, but I find it fun engaging with readers and chatting to my friends. I think if an author is on social media and comes across as likeable, it can increase people’s chances of picking up their book and vice versa. It’s definitely not a chore: if someone takes the time to message me or tweet me, I’ll always reply. I’m writing the third and final book in the Luna Bay series at the moment. It’s called The Silver Bells Christmas Pantomime and it’ll be out near the end of the year. Here is your chance to win an ebook copy of Lynsey's latest release The Sunflower Cottage Breakfast Club.